We are fighting corruption and rebalancing away from oil dependence to create durable economic growth. Nigeria is at a crossroads. Just over a year ago, people voted in a historic democratic election to end corruption and business as usual, opting instead to build an economy that delivers for all Nigerians. The old order was based on an unsustainable commodities supercycle. While the boom had many positives and contributed to Nigeria becoming Africa’s largest economy, it fostered an epidemic of corruption and inefficiency. Foreign businesses and financial institutions also benefited as some people spent and sometimes hid huge sums abroad, lifted by the rising tide of oil exports and dollar revenues. Now we are living in a new world of low energy prices. The economy has slowed while unemployment and inflation have jumped. Longstanding structural imbalances and overdependence on imports have been cruelly exposed. We are an oil-rich nation that imports most of our gasoline. We are a farming nation that imports most of our basic food staples. This is simply not acceptable or sustainable. Our solutions must be in proportion to the challenges. Fundamental change takes time and we are driving not one but three changes to reposition Nigeria for inclusive growth. • Restore trust We have begun to tackle the endemic corruption and mismanagement that is crippling our economy and corroding trust in our institutions. The anticorruption fight is at the heart of combating poverty and improving security. We have stepped up enforcement and new prosecutions to get our house in order, and I have called for foreign governments to work with us to identify where funds stolen during previous administrations are lodged and for multistate cooperation to combat oil theft. Fighting corruption is not enough. We need accountable government and a public sector that can do more with less. We have already taken initial steps by bringing all government finances into a single treasury account where we can monitor spending and impose discipline, implementing zero-based budgets and benchmarks targeted at waste and fraud, and establishing electronic platforms for government agency interface. • Rebalance our economy In a world of lower oil prices and dollar revenues, the only sustainable path is to reduce Nigerians’ overreliance on imports. We must rebalance our economy by empowering entrepreneurs and producers, big and small, to create more of what their fellow Nigerians demand. The supply of foreign exchange to the economy must be increased. This requires radically increasing exports and productivity and improving the investment climate and ease of doing business. Nigeria’s growth and job creation will be led by the private sector. We are a young, entrepreneurial society with vibrant success stories in new industries such as telecommunications, technology and entertainment. Government is doing its part to lower taxes on small businesses, eliminate bureaucracy to bring the informal economy out of the shadows and provide development funding for priority sectors such as agriculture. The central bank has moved to introduce greater flexibility in our exchange-rate policy. These actions are a downpayment on our people’s ability to succeed. • Regenerate growth We must reposition our economy by attracting investment in domestic industries and infrastructure. Nigeria has huge untapped gas reserves and also a critical shortage of electricity. Our private sector loses too much of its revenue due to brownouts and power outages. Half of my fellow Nigerians have no access to the power grid. Investment in our power infrastructure, restructuring of the state-run oil-and-gas sector and development of other industries such as solid minerals, metals and petrochemicals will help to create a virtuous circle of growth and exports while creating jobs and reducing poverty. I am optimistic that our actions are providing the breathing room Nigeria needs during this period of fundamental change. But we cannot improve living conditions and restore fiscal health without making people feel safe and secure—just as we cannot defeat militancy without reducing poverty and dislocation. 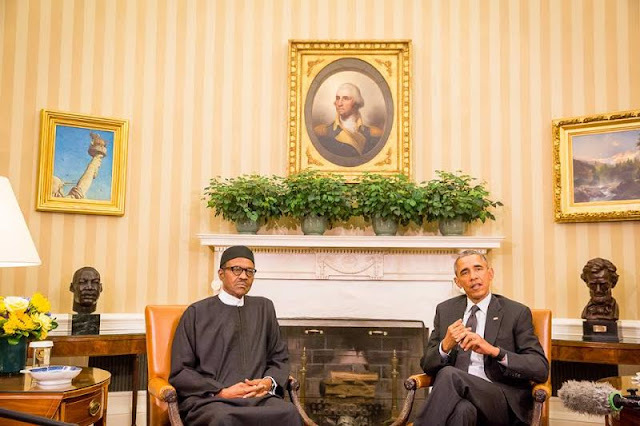 One of our main achievements this past year has been to unite regional and global allies to push back Boko Haram. What we do in the next three years to build an economic bridge to Nigeria’s future will be just as important for bringing lasting peace and prosperity. Mr. Buhari is the president of Nigeria. The enormously popular talk show, Berekete on Wazobia FM radio, Abuja station, told the incredible, yet true story of the hardworking and respected school teacher somewhere in Plateau state who hanged himself. He hadn’t been paid salary for seven straight months. He came home to find that no one had eaten and two of the children had medical prescriptions for which there was no money. He sneaked out without talking to anyone. After a long while, news came home that he had strangely been caught with a stolen goat. On his day in court, the teacher confessed to the offense. The reason he stole, he told the local judge, was that he hadn’t been paid for seven months and when he got home to see what he saw, he just couldn’t stand it. The judge allowed him to go home on bail on self-recognition given, as he said, the good impression the entire village had of the otherwise respected teacher. All were shocked to find his body dangling from tree the morning after. He couldn’t live with the shame. In the recommendations and notes the Ahmed Joda transition committee presented to him as President -EIect, Muhammadu Buhari was informed that a section of the Fedaral government as well as 27 states hadn’t paid salaries, in some case for up to a year. The Joda committee advised that this was a national emergency and should be treated as such. It is on account of this that one of theactivities- please note the choice of this word:activities, not achievements- of President Muahammadu Buhari in these past three months is the settlement of unpaid salaries. This is going on right now. Like the proverbial blinking of the eye, Saturday September 5th will mark the 100th day of the Buhari-led All Progressives Congress, APC government which took office on May 29th after the new party became the first in opposition to unseat an incumbent government in an election adjudged by everyone as free and fair. There are many out there who say that the performance of a president and his government in terms success or failure cannot be judged in 100 days and I agree with them. But history will be written anyway. In the coming week or two, a rash of commentaries and analyses to commemorate the event will be made. I myself don’t deny that 100 days is long enough to know and understand the man who is the head of a government. Buhari arrived power with strong support from young men and women and this country’s poor. The new government was not favored at election by the monied power-brokers although that did not stop the President from taking measures such as improving security that are good for business and investment. This government is business-friendly but not one that is for crony capitalism. The new government inherited enormous problems created by the tainted PDP administration, largely caused by the lack of governance,corruption and lawlessness. This was mostly evident in the last two years of the Jonathan Goodluck administration. As the President continues to point out,the drift is most evident in the oil sector. I believe that there is enough on the ground in those 100 days to understand President Buhari, his government and what it stands for. I will cite a few of these. Before I do that, I will make a little confession. In the course of electioneering, the presidential campaign had so many centers of public communication which, for whatever reason were on the loose. There is a certain document tagged “One Hundred Things Buhari Will Do in 100 Days” and the other, “My Covenant With Nigerians.” Both pamphlets bore the authorized party logo but as the Director of Media and Communications in that campaign, I did not fund or authorize any of those. I can equally bet my last Kobo that Candidate Buhari did not see or authorize those publications. As a consequence of these publications, expectations have been raised unreasonably, that as President, Muhammadu Buhari will wave his hand and all the problems that the country faces- insecurity, corruption, unemployment, poor infrastructure would go away. But that notwithstanding, President Buhari has given the job his best shot and the whole country is saying that we never had it so good. He has re-instituted the values of hard work and administrative efficiency. The President says times without number that this country needs to fix governance and that he won’t tolerate laziness. Some of the other activities I wish to enumerate also include the fact of his taking relations with the country’s immediate neighbors to new heights. By their open admissions, this country’s neighbors did not have someone they could talk to on the deteriorating security situation in the Lake Chad Basin area in Aso Rock. 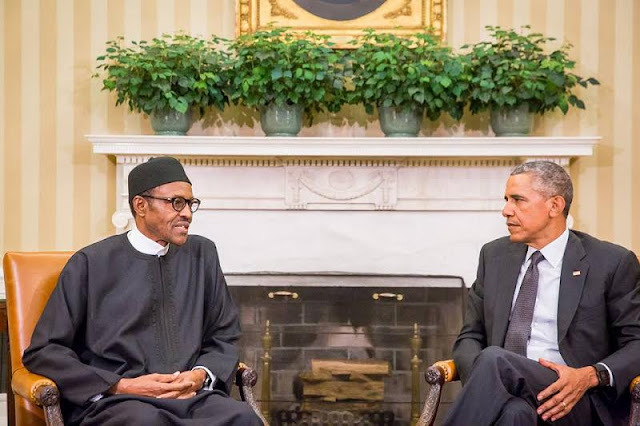 Buhari embarked on his foreign policy on Day Four of his administration. 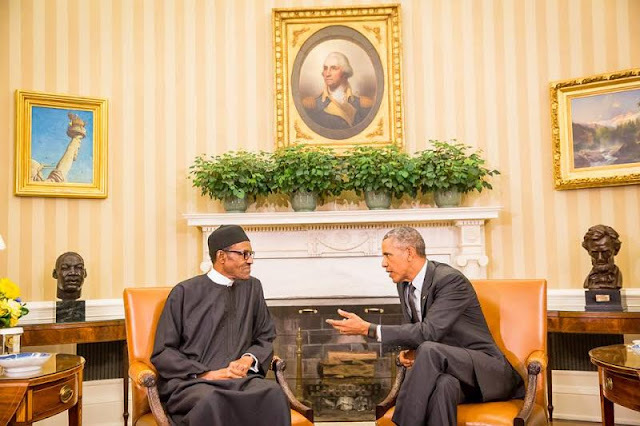 When he met Barack Obama, the U.S president told the Nigerian leader that he was getting it right and that it is only when Nigeria gets it right that Africa will get it right. The United Nations Secretary-General Ban Ki-Moon who came calling this week said that our president is “courageous, focused and firm.” Relations with the “G 7″ group of industrialized countries have since been “reset” and the dividends of this have begun to flow inwards. In the area of economic management, Nigerians are already seeing things happen that they thought were not possible in so short a time. He didn’t put a Kobo to finance the power sector. Yet, reading his body language alone and knowing that there are things you cannot do and get away with under Buhari, electricity supply all over the countries has risen to unprecedented heights. Actually, some cities are on the verge of calling 24-hour, round the clock power supply. The country generates more power than can internally be taken by the deplorable distribution system we have on the ground, which points to the next challenge that the country faces. Framework for the management of the country’s finances has been put in place. The wobbly Naira is being stabilized and inflation is headed towards a single digit.President Buhari is keeping a close eye on the government treasury. Agriculture is getting its own shot in the arm. Rice importation has been curtailed and seven governors whose states are priming a massive local production of the commodity have had a strategy meeting with the President on the next steps that are coming. Americans say their intervention in our agriculture will come next year. Boko Haram, which had more or less been allowed to fester for about five years is about being ended but what is even more interesting is that intelligence coming from the fired-up armed forces who now work in synergy with each other is raising hope that the Chibok girls may, repeat may be found in good numbers in a geographic location of interest somewhere in the North-East. President Buhari is being praised at home and abroad for his ongoing fight against corruption. He said from the beginning that his government will not tolerate this vice. Borrowing the words of India Narendra Modi’s, he said himself that “I won’t steal and I’ll not allow others to do it.” President Buhari has walked his talk since he come to office. Himself and Vice President Yemi Osinbajo have not only given up half of their salary, they have cut a good number of funding lines to their official homes and offices. President Buhari also takes the environment seriously. He blames the lack of security in the Lake Chad region on the recession, almost drying up of the lake. He has undertaken to clean up the Ogoniland. In this country, appointments and removal from office are done usually in accordance with a spoils system. A new government sacks officials on the basis only that it did not appoint them, by the predecessor-administration. President Buhari has shown that his government is different. He wants to look at each case on its own merit and it is clear by now that he is not ready to surrender the country to burnt out politicians. Technocrats will have a big place in his administration. He has appointed no ministers yet, but the government is running smoothly. In this period of three months, government certainly deserves a pat on the back for improved power, reform in the energy sector, foreign relations fight against corruption and insurgency and the fact of Nigerians being at peace, not only among themselves but with their neighbors and the rest of the world. In think in summary, I would like to end this piece by saying that President Muhammadu Buhari will turn out to be a leader in the tradition of Lee Kuan-Yu and India’s current reform-minded Prime Minister Modi with strong and clear emphasis on detail and execution. He may however differ with them by not micro-managing things. Nigeria political history, March 28th 2015 will surely become ‘’Today In History’’, a day Muhammadu Buhari after waiting patiently for 15years wrestle the power from self proclaimed African monolith political party, PDP [that promised to rule Nigeria for 50years]. It was indeed a day in history, some called it I"des of March", ‘’Tsunami’’, "Buharicane’’, Sinking of PDP Armada [my piece in April, 2013] with world leaders hailing this moment of decision! Across the entire length and breadth of Nigeria, the voters were really craving for change. The rot every section of Nigeria has eaten too deep into fabrics of government at the center, bastardize federal civil service, unemployment, epileptic and erratic power supply, insecurity, lame defense, defiled first lady, police gangster, political bigotry, poor health services, poor roads and educational system bungled, judiciary not vibrant, ostentatious displays of ill gotten wealth, constituencies allowances diverted e.t.c. The voting pattern was unique for the first time, the south west [progressives] align with the north to form the government at the center. 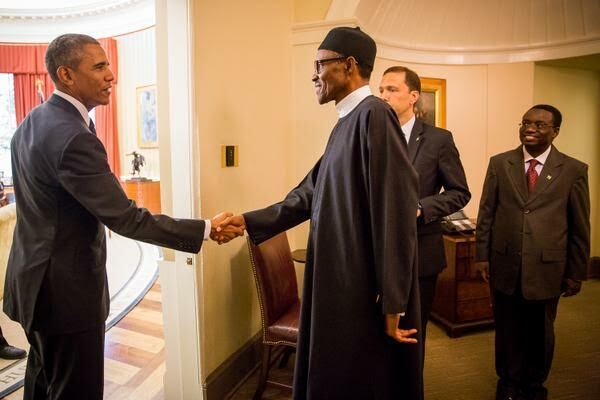 Outgoing president Good luck Jonathan must have had his hand full. From Olusegun ‘’Irumale’’ Obasanjo tacit withdrawal of support and the defection of some PDP governors. Jonathan must have read the ominous sign but did not want to weep like a woman for what he cannot defend as a man. From across the Niger consultations Olusegun Obasanjo was making, it was sure bet Jonathan will not be re-elected. Observers say Olusegun Obasanjo detest being beaten. If Jonathan was re-elected, he will be spending 10years as Nigeria president dusting Obasanjo 8years tenure. Jonathan must have learnt his lessons by now as regard the north [politically] Namadi Sambo home state was simply a no-go area for PDP, nothing can be more than wash out. Kano state played a crucial role with Sanusi Lamido Sanusi, Emir of Kano state [Jonathan enemy] and Engr. Rabiu Kwankwaso, the outgoing governor of the state, coupled patience Jonathan outburst that the north gave birth to ‘uncared for child’ it was a tonic APC used. Bauchi State PDP’s Chairman Alhaji Adamu Muazu home state fall to the rampaging APC ‘Buharicane’, ‘Tsunami’. The South West has effectively been under APC [except Ekiti and Ondo States], Lagos State, Bola Ahmed’s territory is for close for PDP (with chief bode George already preparing to go on self exile] Ogun State, APC vice president Prof Yemi Osibanjo home state [Ogun State) is also for close for PDP. Oyo state also re-enacted ‘A Day in history’ as Senator Abimbola Ajimobi was also re-elected the first time in the history of the state for a governor to serve two times in office. The amazing and most interesting scenario was the sweeping of the entire north central by APC speared by the emerging Tiger of Kwara State politics; Senator Bukola Saraki- the heir apparent of Saraki dynasty and The Senate President. The South East and South South still align with PDP [hoping that Jonathan will be re-elected and possibly be rewarded the South East with an additional state] and may possibly loss out [appointment] in the coming APC government [who dominated the Senate and House of Representatives] and the Igbo’s dream of Nigeria’s no1 seat looks gloomier with the present scheme of things! The was fought with PDP itself to name calling, mudslinging. The media was a washed with dirty documentaries, distorted facts, vulgarism words, pull-him-down [PhD] raw commentaries international media has various times recommend Muhammadu Buhari to clean up the mount of mess Jonathan has piled up. It is indeed a today in history, March 28th, 2015. Mohamamadu Buhari sank the PDP Armada in the ides of north, it was a moment in Nigeria and the worked in history, jubilation across. Outgoing Jonathan, magnanimously congratulates Muhammadu Buhari hours before the final results was announced and released, it was a face saving. The untouchables; Deziani, Alison Maduekwe, Madam Patience Jonathan [the infamous Africa’s first lady mission house], Ali-modu Sherriff, Adamu Muazu, and fuel subsidy scam culprits be immediately brought to justice let Muhammadu Buhari APC led government [known for his no nonsense tracts] and the national assembly array. These UNTOUCHABLE, before a court of law and sentence accordingly, if found guilty as charged. What the town trodden Nigerians are craving from Muhammadu Buhari led APC government are; fair distribution of resources, average living conditions, empowerment, security, good and improved health care services, rural and roads development, accountability and prudent management of Nigeria resources, corruption free judiciary and quick dispensation of justice, equality, patriotism, altitude, determination and Nigeria spirit. Muhammadu Buhari must be savoring one of united kingdom’s outstanding prime minister, Winston Churchill statement; ‘’I have nothing except my blood, my tears and my sweat’, on Saturday 28th March, 2015, ‘the gong of taboo sounded!’ PDP’s 50years superfluous projecting of ruling Nigeria in confine to the dustbin of history! Nigerians has endured the PDP disaster government for about 16years patiently and their cries have reached their creator, it was ‘AHIMSA!’ [peaceful change] Mahatma Gandhi; apostle of peaceful change; ‘’he, who makes peaceful change impossible, makes violent change Inevitable’’. And as president good luck Jonathan intends handing over to Buhari APC led government on May 29th, 2015, exactly 2months after his defeat. Buhari and March 28th, 2015. What a Date In History! What an Ides of March! 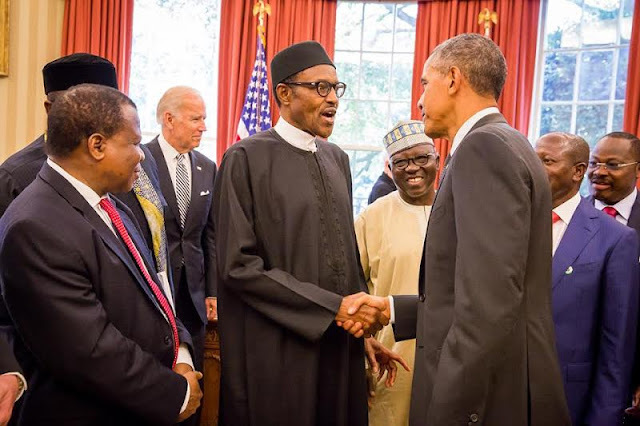 “Nigerian-American Leadership Council” Welcomes President Buhari to Washington-Pushes For New Standard of Governance and Service Delivery. 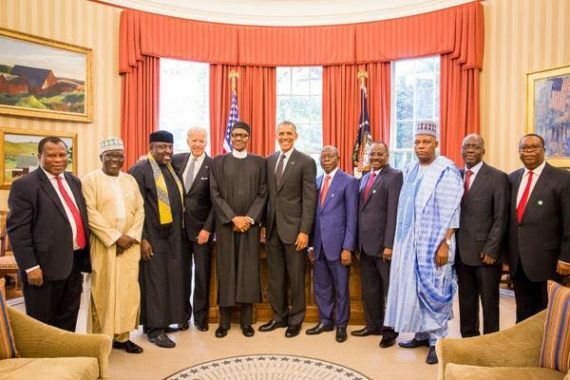 The “Nigerian-American Leadership Council (NALC)”, has been notified about President Muhammadu Buhari’s invitation and arrival in Washington, for meetings with US Officials and some members of the Nigerian Diaspora including Executives of this Council. The leadership of this Council intends to participate in some of the forums during this event. 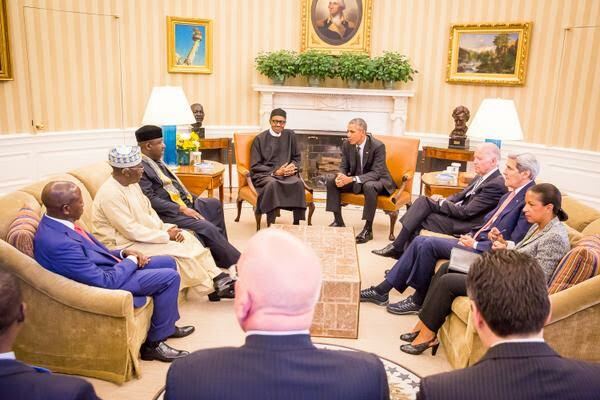 While the Council enthusiastically welcomes President Buhari to Washington, the Council intends to seize the opportunity of an impending interactive session to brief President Buhari on the Council’s initiatives, and perspective on pertinent issues in Nigeria, as well in US-Nigeria relations. The Council is aware that security will top the agenda in the various meetings and forums during this visit. However, the Council also plans to call serious attention to the corruption in the public and private sectors in Nigeria, and to the impunity of the ruling class in Nigeria. It is the Council’s factually based opinion, that unchecked corruption in the past few years in Nigeria, permeated some sacred institutions; including the security services, and the judiciary. Corruption in the security services and the judiciary go into the heart of Nigeria’s ability to thrive as a unified democracy. If unchecked, corruption could create a “free-for-all” cesspool that could drive Nigeria to the ground. The judiciary and the security agencies should be totally immune from corrupt practices, especially at the top of their various hierarchies. Where the top officials of these agencies are found complicit in corrupt practices, they should ideally face much stiffer sanctions, because there actions may have compromised lives, and thereby endangered the survival of the republic they are sworn to serve. The “Rule of Law” must also be maintained at all times, during the process of prosecution. Prosecuting the war on terrorism may have actually become a cash-cow for some officials, who endangered the lives of troops in the front line, by their complicity in corruption. It has also been reported that internal leaks on behalf of Boko Haram by insiders who were induced by money, religion, or ethnic bias, did weaken the campaign against Boko Haram and compromised troops lives. Any such internal leaks should ordinarily call for charges for high treason and sabotage, with its attendant appropriate sanction. We are also aware that “some” judges have compromised justice by accepting pay-offs to issue “not-guilty” rulings, and frivolous injunctions, in the face of overwhelming evidence of criminal wrong-doing by officials or business executives; especially top executives in the Banking industry. We have observed issuance of perpetual injunctions by Judges, which do not have any basis in law or facts. We note that sometimes it takes a foreign jurisdiction to get judgment or asset forfeiture from Nigerian ex-officials. We also perceive that there was limited reverence to presidential authority during the last administration, thus leading many officials and private sector executives to go on a plunder of public resources, without fear of presidential oversight, even in key agencies of the government. This Council, with the assistance of US institutions, will begin to monitor assets that Nigerian Judges and other high officials acquire or transfer outside of Nigeria. We expect that at a minimum, that there would be sufficient reverence to President Buhar’s anti-corruption credentials, such that people would think twice about serious sanctions, before they plunder public resources under their watch. The national assembly in Nigeria is another area of blatant ruinous governance. As stakeholders in Nigeria, and as a community that carry a disproportionate burden of Nigeria’s problems, we will be monitoring the national assembly in the near future, with the hope that they will redress the wrongs of the previous national assembly. It remains simply ludicrous that the national assembly had the audacity to approve compensation for themselves that run into the millions per member, right under the nose of the suffering Nigerian masses, most of whom work hard but live like paupers. The salaries and allowances of Nigerian federal legislators (almost 2 million USD annually per Senator), is unheard of anywhere in the world. This top-heavy expense is not sustainable in a country where many people do not have running water, and are deprived of their salaries several months in a year. We note that Nigerian officials accused of high crimes frequently begin to invoke ethnic or religious undertones for their woes. It amazes us that Nigerians fall for these schemes by the accused, rather than waiting for the culprits to have their day in court. These are the challenges that Mr. Buhari should address with a firm unwavering hand, we expect him not to fail Nigerians, and in essence lay the foundation for a future prosperous Nigeria where every citizen can aspire to a decent life. The Nigerian-American Leadership Council is the premier pre-eminent Public Policy and Business Advisory Council in the United States; focused entirely on Nigeria. 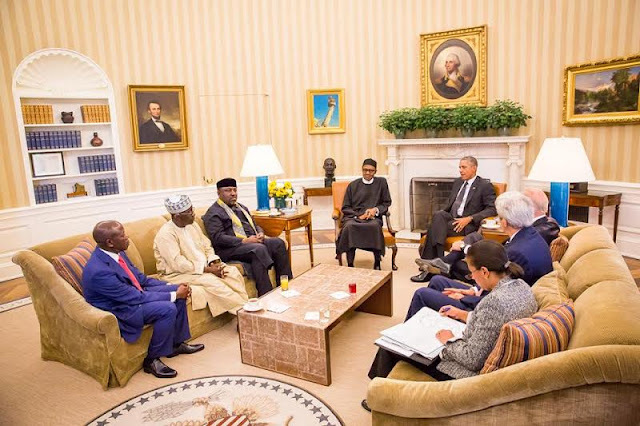 Adjudged by the US Media, as “A Powerful Voice” on US-Nigeria Affairs; the Council is the only NGO that maintains authoritative “rare access on both sides of the Atlantic”. 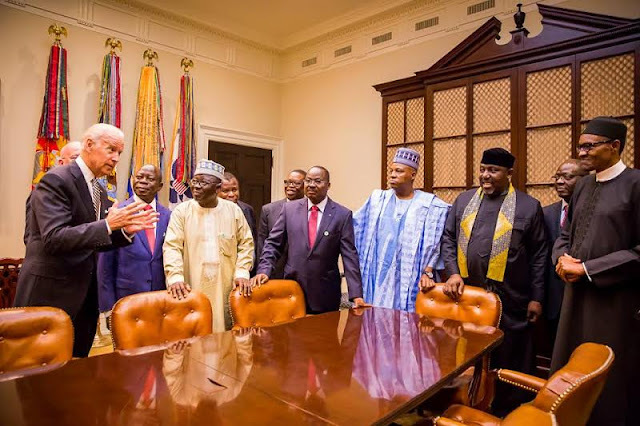 The Council, which remains an independent Think-Tank, has also become the go-to organization in Washington, and in the United States, for all things Nigeria. Muhammadu Buhari has won Nigeria's presidential polls, in the country's first election victory by the opposition. His party said his opponent, the incumbent President Goodluck Jonathan, admitted defeat and congratulated him. Gen Buhari was ahead of Mr Jonathan by at least two million votes. Observers have generally praised the election but there have been allegations of fraud, which some fear could lead to protests and violence. However, a spokesman for Gen Buhari's All Progressives Congress (APC) party praised Mr Jonathan, saying: "He will remain a hero for this move. The tension will go down dramatically." "Anyone who tries to foment trouble on the account that they have lost the election will be doing so purely on his own," the spokesman added in quotes carried by Reuters. Finally the long wait is over. The opposition's Gen Buhari has won this pivotal contest. This is a hugely significant moment in Nigeria's history. Never before has a sitting president lost an election and it feels as though Nigeria has turned a corner. Since independence from Britain in 1960 there have been numerous coups and rigged elections. This poll has brought to the surface dangerous religious and regional differences. The outcome may be disputed by some and there is still a fear of violence. But many Nigerians feel for the first time they have the power to vote out a government that is not performing well. Results at 18:00 local time (18:00 GMT) showed Gen Buhari with 15 million votes, and Mr Jonathan with 12.8 million votes. Mr Jonathan had led Nigeria since 2010, initially as acting leader before winning elections in 2011. Nigeria has suffered from several attacks by the Islamist militant group Boko Haram, which has killed thousands of people in its drive to establish an Islamic state. Many voters have said that they believe Gen Buhari is better positioned to defeat Boko Haram. The Igbo people around the country and South East political zone in particular will ultimately decide who will be next Nigerian president. The arithmetic is quite easy to understand and the only zone that does not necessary connected directly to the main political actors is the South East political zone. There are no Igbo vying to be president or vice president in any of the major political parties in the country. Therefore the process and the interim development empowers SE zone and Ndi-Igbo to be the centre of attraction and the deciding factor in the election. The political party, be it Peoples Democratic Party (PDP) or All Progressive Congress (APC) that is able to convince the Igbo people and South East political zone will definitely, comfortably and reliably win the presidential election in February 2015. Geography also favours Ndi-Igbo in the fort coming election. The Igbo people are one group in Nigeria that are evenly distributed and naturally placed around the country. There is no state or geo-political zone in Nigeria that Igbo people are not a secondary major group after the indigenous population. The interesting thing is how the Igbo have methodically and assiduously assimilated in every corner of country, living peacefully and comfortably with rest of other groups and fellow Nigerians. The Igbo love of Nigeria and adaptation is pointing to future of Nigeria that is devoid of tribalism and nepotism. As far as Ndi-Igbo are concern the entire Nigeria is home be it north, south, east or west. With this patriotism and Nigerian –eccentric comes a unique advantage that Igbo people enjoyed in Nigeria more any other group. They participated in all diverse cultures of Nigeria and speak almost all the major languages in Nigeria. At the core of Ndi-Igbo is a true Nigerian that accepts Nigeria as one nation. Therefore in 2015 election, Ndi-Igbo will reap the benefit for residing in every nooks and corners of Nigeria. For the path to victory must go through the contours of Igbo political landscape. In Northern Nigeria despite the threat of Boko haram, Igbo people are still residing in all major centers of the northern Nigeria and they are fully assimilated and speak Hausa, Fulani and other indigenous northern languages brilliantly. In the south West Igbo people reside populously in Lagos, Ibadan and other parts of south western Nigeria. No matter the propaganda in the media and on internet, Ndi-Igbo and SE have not made the final decision on who will get their precious votes and support. The battle ground for election decision and victory will not be in the North or South West because both parties PDP and APC have active presence in those regions and in the geo-political zones. Therefore the final battle ground is in South-East political zone; and whichever political party that sweeps the SE area and have the support of majority of Igbo will ultimately win the presidency in the forth coming election.